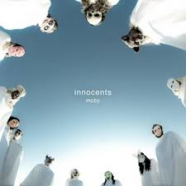 As one of the noughties biggest selling artists, you could forgive Moby for taking the easy option and drifting off quietly into comfortable middle age retirement with his place in the annals of pop history secured. His career defining dance crossover album Play sold over 10 million copies worldwide following its release in 1999 and even though subsequent releases were never likely to match that records success, it allowed Moby the freedom to dabble in a variety of different creative endeavours. Innocents is an album heavy on collaborations, and might just be his best record in quite some time – it is an incredibly cohesive work, despite the diverse mix of collaborators. From the beautiful space age blues of ‘Almost Home’ with Damien Jurado through to the celebratory ‘The Perfect Life’ with Wayne Coyne this is instantly recognisable as a Moby record, albeit one that seems to have a new found sense of purpose. ‘The Last Day’ with Skylar Grey is superb –the Moby blueprint sound, given a new lease of life by Grey’s aching vocal melody. An album that will appeal to estranged fans and newcomers alike, Innocents is a surprising return to form for one of the great pioneering artists of the last twenty five years.